Armour boils water in just 4 minutes! 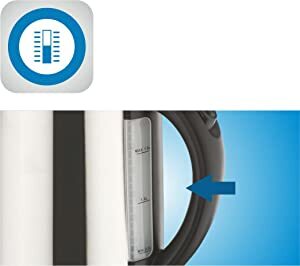 Putting water in and pouring it out are so much easier, The wider mouth and spot filter keeps water poured out to flow uniformly without much spillage. This built-in safety feature ensures that the Armour will never overheat or boil over, which could damage the kettle. 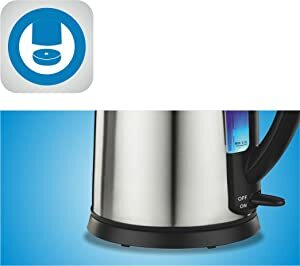 With many kettles, you can not tell if they are hot except by touching them (ouch!). When the Armour power light is on, you will know just by locking. 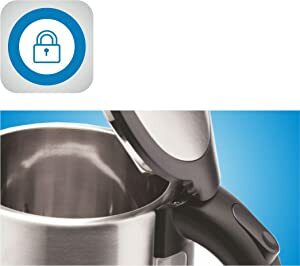 The locking lid is another great safety feature: it prevents accidental spills while you are pouring. 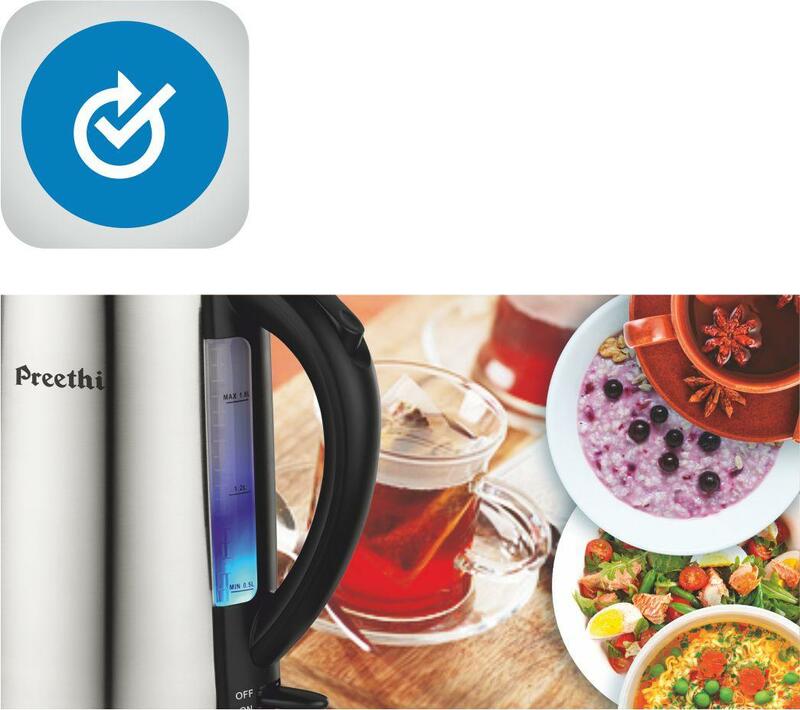 Every Preethi appliance comes with the assurance of the highest quality and superior performance. 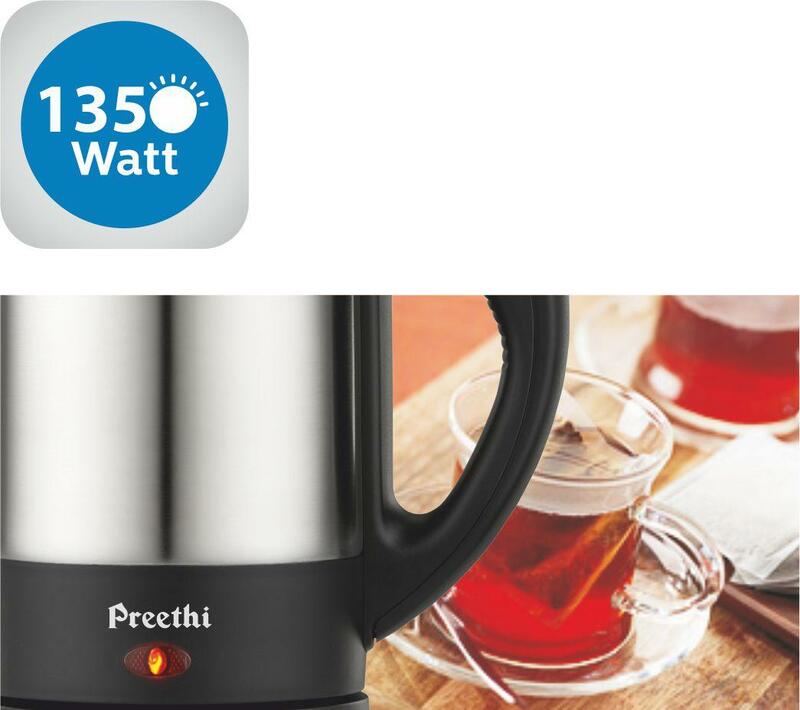 As you become a part of the Preethi family, you will enjoy a 1 year warranty with lifelong free service. 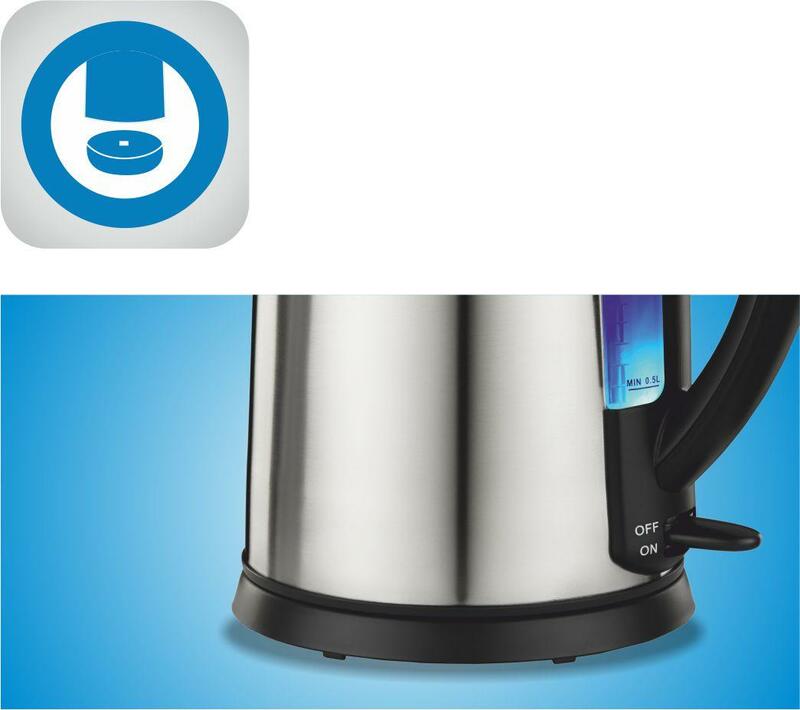 With many kettles, you can't tell if they're hot except by touching them (ouch!). When the Armour power light is on, you'll know just by looking. 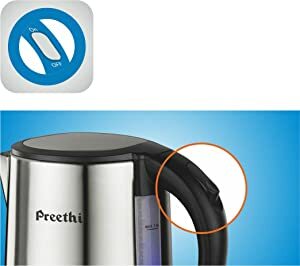 The locking lid is another great safety feature: it prevents accidental spills while you're pouring. The Armouris made of durable, brushed stainless steel for dependable quality and service. 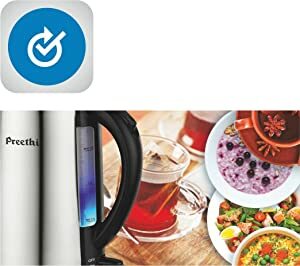 It is backed by a 1-year warranty and life long free service.